Sean Kuno is a Senior Research Program Manager of Microsoft Research Outreach. He is based in Redmond U.S. and he is a member of Artificial Intelligence Engaged team of Microsoft Research Outreach. Kuno leads the ideation, design and launch of community programs for AI projects such as Project Malmo and Platform for Situated Intelligence, working in partnership with universities and government agencies worldwide. Kuno joined Microsoft Research Asia in 2008 as a University Relations Manager. He lead the comprehensive academic research program to encourage collaboration between Microsoft and academic community in Japan. 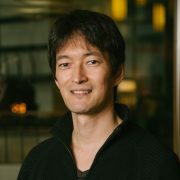 Before he joined Microsoft, he worked for the Japan Science and Technology Agency (JST), the second largest funding agency in Japan, where he had more than four years experience of project funding, program management and program evaluation and promotion of basic science research projects and academic exchange events. Before JST, he worked as a manager of marketing and product & business development in the cable and satellite industry in Japan. He received a bachelor degree (1996) and a master’s degree (1998) in Quantum Engineering and Systems Science from the Graduate School of Engineering, the University of Tokyo.